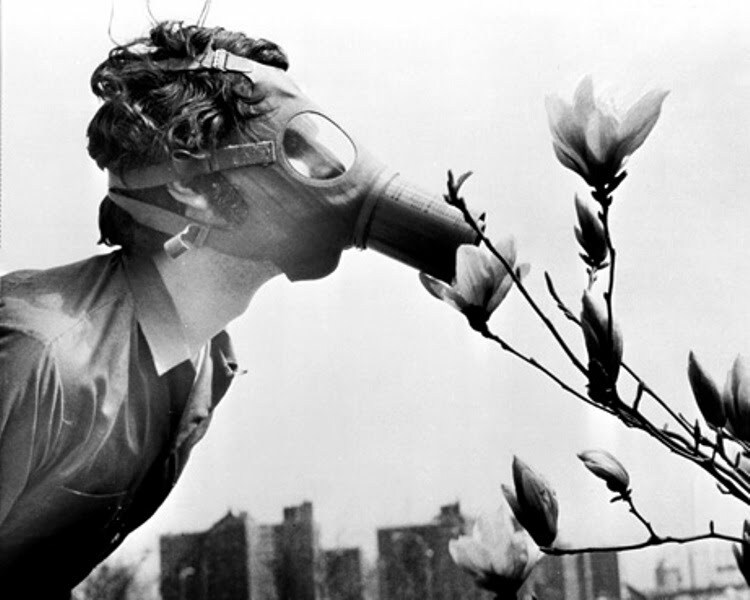 So-called ecopragmatists say we can have a “good Anthropocene.” They’re dead wrong. The science behind Crutzen’s claim is extensive and robust, and it centers on the profound and irreversible changes brought by global warming. Yet almost as soon as the idea of the Anthropocene took hold, people began revising its meaning and distorting its implications. A new breed of ecopragmatists welcomed the epoch as an opportunity. They have gathered around the Breakthrough Institute, a “neogreen” think tank founded by Michael Shellenberger and Ted Nordhaus, the authors of a controversial 2004 paper, “The Death of Environmentalism.” They do not deny global warming; instead they skate over the top of it, insisting that whatever limits and tipping points the Earth system might throw up, human technology and ingenuity will transcend them. The argument absolves us all of the need to change our ways, which is music to the ears of political conservatives. The Anthropocene is system-compatible. This technoutopian vision depends on a belief that, with the advent of the new geologic epoch, nothing essential has changed. This reimagined Anthropocene rests on a seamless transition from the fact that humans have always modified their environments to a defense of a postmodern “cyber nature” under human supervision, as if there is no qualitative difference between fire-stick farming and spraying sulfate aerosols into the stratosphere to regulate Earth’s temperature. For this reason, respected palaeoclimatologist William Ruddiman’s hypothesis that the Anthropocene began some 8,000 years ago with the onset of farming and forest clearing has immediate appeal to ecopragmatists. It seems to give scientific grounding to the desire to defend the status quo against the evidence that the culprit is technoindustrialism’s aggressive fossil fuel–driven expansionism, which began at the end of the 18th century. 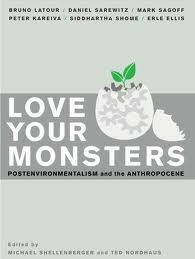 But the idea of a good Anthropocene is based on a fundamental misreading of science. It arises from a failure to make the cognitive leap from ecological thinking—the science of the relationship between organisms and their local environments—to Earth system thinking, the science of the whole Earth as a complex system beyond the sum of its parts. The early Anthropocene hypothesis goes against strong evidence, provided by Crutzen, Will Steffen and other researchers, that only with the beginning of the industrial revolution can we detect a human influence on the functioning of the Earth system as a whole. The revolutionary meaning of Earth-system science is lost on the ecopragmatists. In reality, the arrival of the new epoch represents not merely the further spread of human influence across the globe but a fundamental shift in the relationship between humans and the Earth system—one in which human activity now accelerates, decelerates and distorts the great cycles that make the planet a dynamic entity. The radical distinctiveness of the Anthropocene lies in the fact that humans have become a novel “force of nature,” one that is shaping the geologic evolution of the planet. So far-reaching is the impact of modern humans that esteemed palaeoclimatologist Wally Broecker has suggested that we have not entered a new geologic epoch, a relatively minor event on the geologic time scale, but a new era—the Anthropozoic—on a par in Earth history with the development of multicellular life. Some climate science deniers believe only God can change the climate; ecopragmatists, by contrast, see humans as “the god species.” Here is what the god species and this kind of thinking are certain to give us: an atmosphere with 500 ppm of CO2 (probably closer to 700 ppm) and a climate that is hot, sticky and chaotic. It will indeed take omnipotence to fix the problem without calamity. For those who prefer orthodox climate science, such unbounded optimism is dangerous, wishful thinking. The science behind Crutzen’s claim is extensive and robust, and it centers on the profound and irreversible changes brought by global warming. Yet almost as soon as the idea of the Anthropocene took hold, people began revising its meaning and distorting its implications. A new breed of ecopragmatists welcomed the new epoch as an opportunity. They gathered around the Breakthrough Institute, a “neogreen” think tank founded by Michael Shellenberger and Ted Nordhaus, the authors of a controversial 2004 paper, “The Death of Environmentalism.” They do not deny global warming; instead they skate over the top of it, insisting that whatever limits and tipping points the Earth system might throw up, human technology and ingenuity will transcend them. The techno-utopian vision depends on a belief that, with the advent of the new geological epoch, nothing essential has changed. This reimagined Anthropocene rests on a seamless transition from the fact that humans have always modified their environments to a defense of a postmodern “cyber nature” under human supervision, as if there is no qualitative difference between fire-stick farming and spraying sulfate aerosols into the stratosphere to regulate Earth’s temperature. For this reason respected palaeoclimatologist William Ruddiman’s hypothesis that the Anthropocene began some 8,000 years ago with the onset of farming and forest clearing has immediate appeal to ecopragmatists. It seems to give scientific grounding to the desire to defend the status quo against the evidence that the culprit is techno-industrialism’s aggressive fossil fuel-driven expansionism, which began at the end of the 18th century. The revolutionary meaning of Earth-system science is lost on the ecopragmatists. In reality, the arrival of the new epoch represents not merely the further spread of human influence across the globe but a fundamental shift in the relationship between humans and the Earth system—one in which human activity now accelerates, decelerates and distorts the great cycles that make the planet a dynamic entity. The radical distinctiveness of the Anthropocene lies in the fact that humans have become a novel “force of nature”, one that is shaping the geological evolution of the planet. So far-reaching is the impact of modern humans that esteemed palaeoclimatologist Wally Broecker has suggested that we have not entered a new geological epoch, a relatively minor event on the geologic time scale, but a new era—the Anthropozoic—on a par in Earth history with the development of multicellular life. Clive Hamilton is professor of public ethics at Charles Sturt University in Canberra. He is the author of Earthmasters: The Dawn of the Age of Climate Engineering (Yale University Press, 2013).